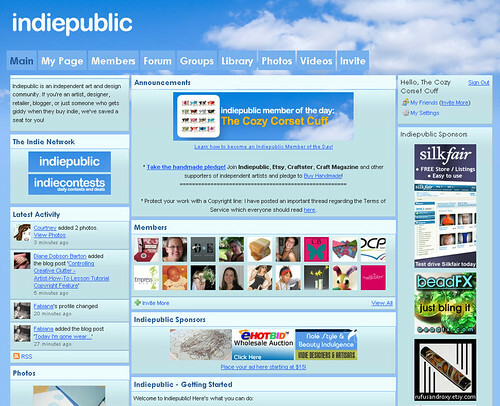 We have been selected out of 6861 IndiePublic members to be IndiePublic’s Member of the Day! It truly is a honor! Thanks IndiePublic & everyone who voted for us! You can check out our official IndiePublic page here. We highly recommend joining IndiePublic if you haven’t already. IndiePublic is an independent art and design community that’s for artists, designers, retailers, bloggers, or for anyone who gets giddy when they buy indie!